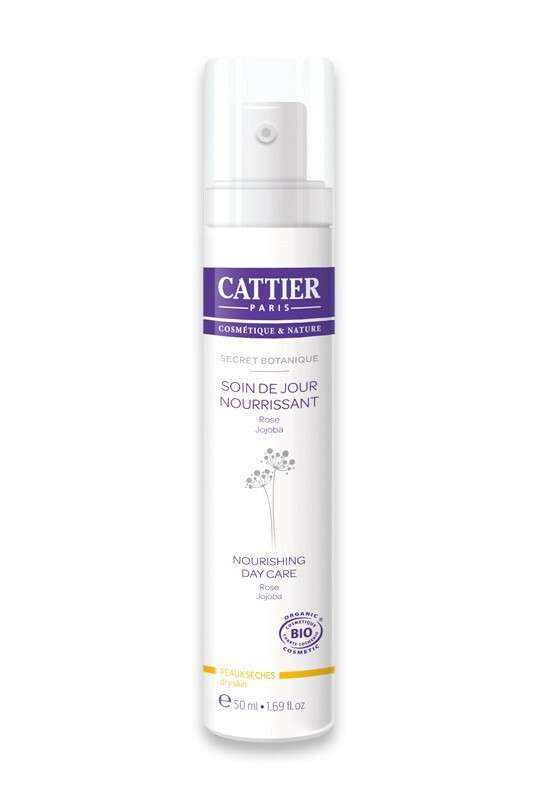 Fragrance-free, Cattier Organic Moisturizing Nourishing Day Cream "Secret Botanique" offers genuine moisturising day care for dry and sensitive skin. Combined with organic jojoba oil, with its rebalancing and protective properties, organic sunflower extract – particularly enriched with vitamins E and F – has an anti-oxidant action, nourishes and softens the epidermis. Thanks to its lamellar structure, identical to the skin’s, the DMS*, a complex of natural ingredients with exceptional moisturising properties, penetrates into the heart of the epidermis and gradually releases a cocktail of nourishing and renewing ingredients (ceramides, squalane, shea butter, etc.). 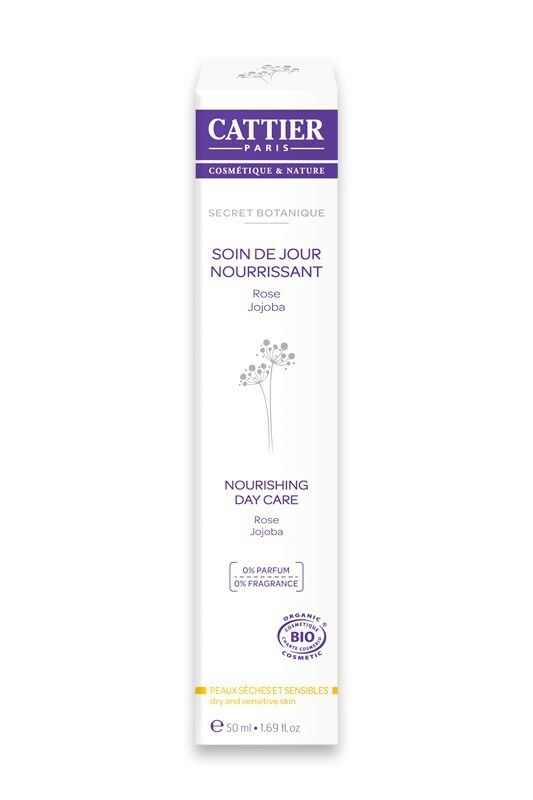 The skin is thus nourished in-depth all day long and hydration** optimised when using Cattier Organic Moisturizing Nourishing Day Cream "Secret Botanique". A real beauty asset, organic rose water tones, refreshes and soothes the skin. After having thoroughly cleansed and dried the skin, apply a measure of Cattier Organic Moisturizing Nourishing Day Cream "Secret Botanique" all over the face, throat and décolleté until completely absorbed. Apply daily in the morning for supple, soft and perfectly hydrated skin. Organic Sunflower extract, Organic Rose flower water, Organic Jojoba Oil, Organic Coconut butter, Complex of natural ingredients rich in Ceramides, Phospholipids and Amino Acids (DMS®), Calendula extract.